Rediff.com » Movies » Can you identify this sleeping beauty? Can you identify this sleeping beauty? Here's a hint: She made her acting debut in a Deepika Padukone-starrer. 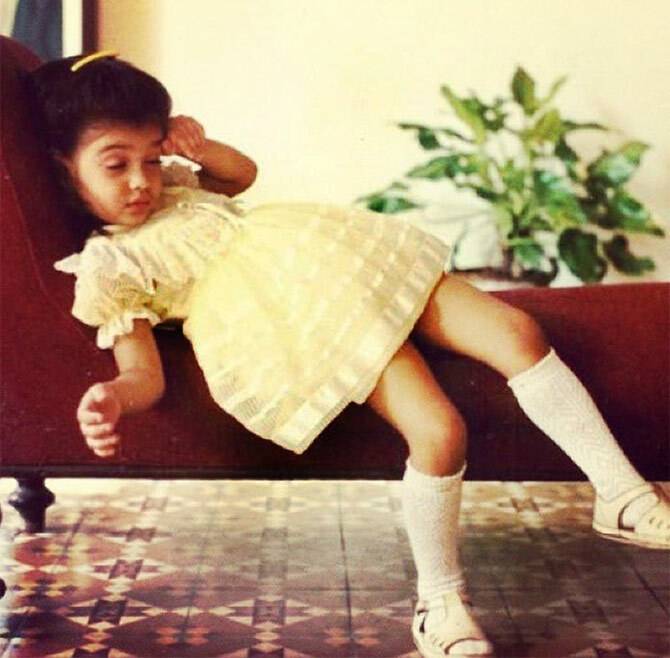 The Cocktail heroine shared her childhood picture on Instagram and wished everyone Happy Children's Day. Diana wrote, 'Somethings just never change... like lounging around all day. But then again, it's always nice to celebrate the child in you. 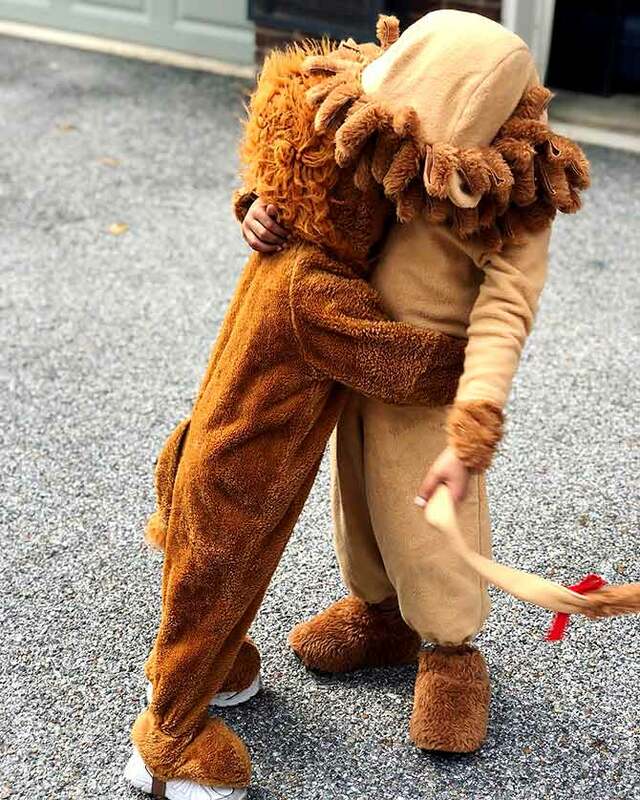 #HappyChildrensDay'. 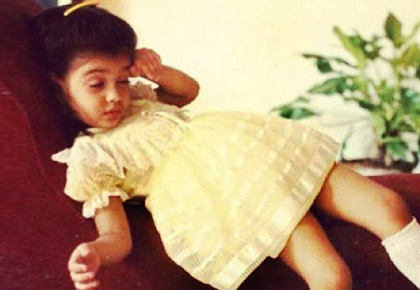 Celebs took to social media to post adorable childhood pictures. 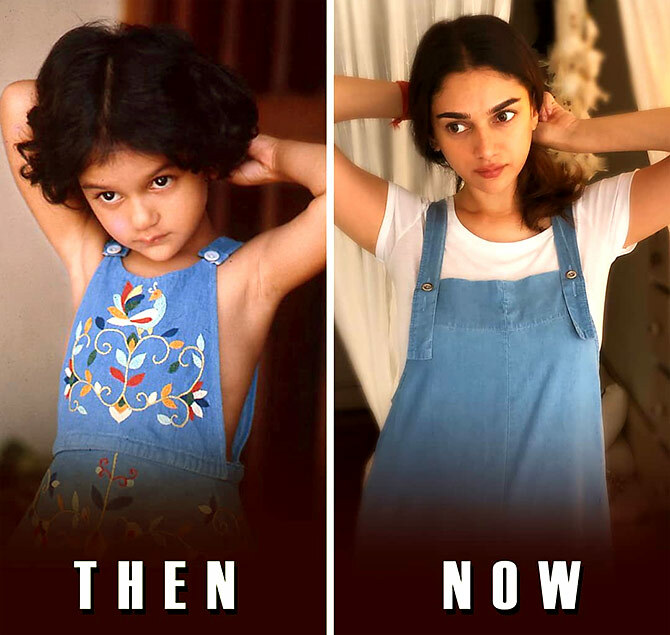 Aditi Rao Hydari shared a then-and-now picture of herself and captioned it, 'Age of innocence #NeverGrowUp #HappyChildrensDay'. 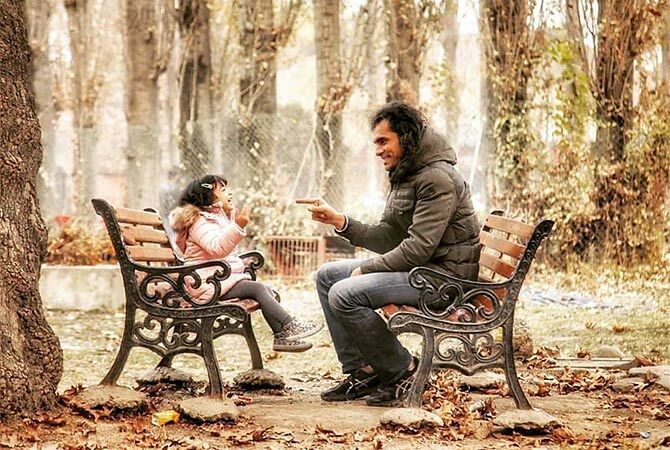 Imtiaz Ali posted a picture with his niece Noor and wrote, 'Happy children's day :) (With niece Noor in Srinagar) thanks to shoaib for the click'. 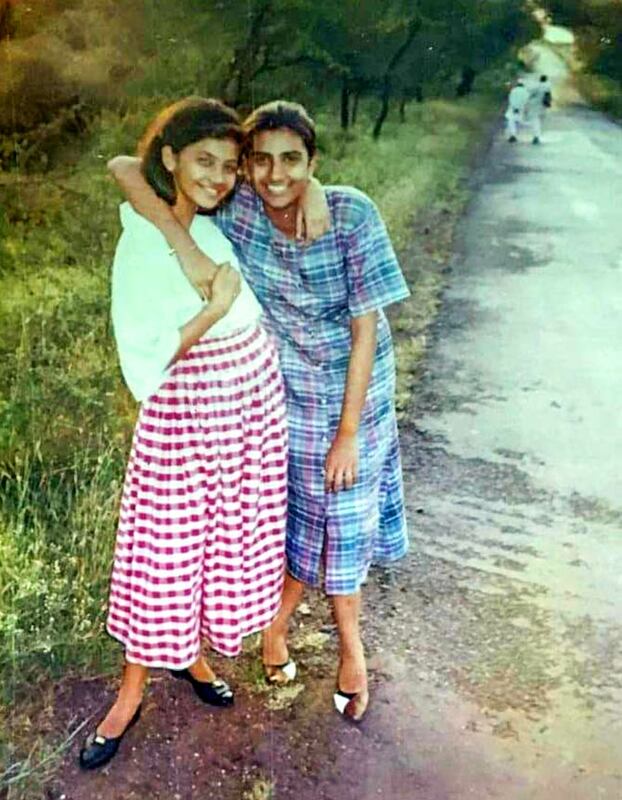 Yes, that's Daisy Shah and she hasn't changed much since her teens. Genelia Deshmukh shared a cute picture of her sons and noted: 'Dearest Riaan and Rahyl... Happy Children's day ... My Life is you 2 and I'm glad I keep it so simple because I Love every single minute that we spend together and I promise you that no matter who you meet in Life I Will still be that person who loves you the most.. I know that's what all mums say, I'm just glad I got blessed to say it to you.. Thank You for making my Life worth it #childrenarethebest #heartandsoul #allmine'. 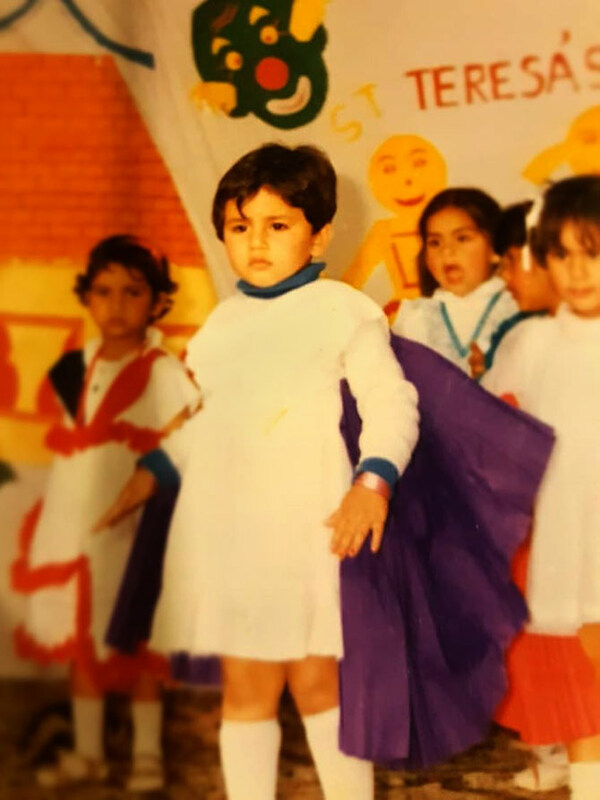 This grumpy little girl is Gangs Of Wasseypur star Huma Qureshi. Huma writes, 'This was definitely #ChildrensDay celebrations or wait maybe our annual day ... In any case I was never a morning person ... #GrumpyBaby #throwback #reluctantentertainer #fairy #princess #happychildrensday'. 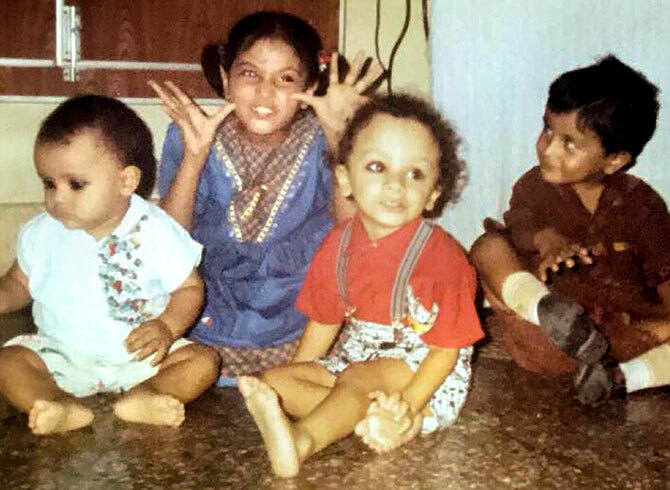 Richa Chadha was surely the naughtiest kid in her family. She captions her picture, 'Happy children's day to everyone. Hangin' with bros! It's the birthday of the first PM of India. It's also an excuse to not grow up, take time to smell the roses and honour the child in you'. 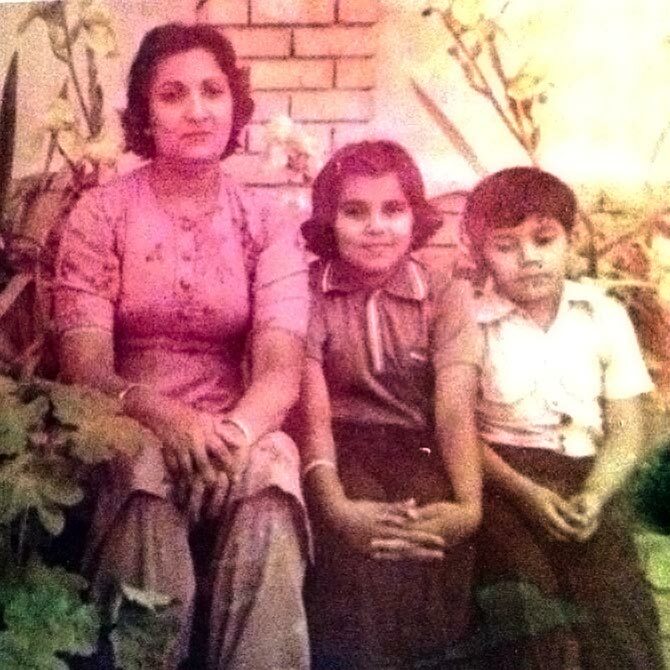 Randeep Hooda wished fans Happy Children's Day with a throwback picture as well and also wished his sister Anjali a happy birthday with a sweet message: '14th Nov is children's day.. The child in us.. to the child born on this day .. my sister, friend, confidant, doctor, inspiration, constant worrier, joined at the hip'. 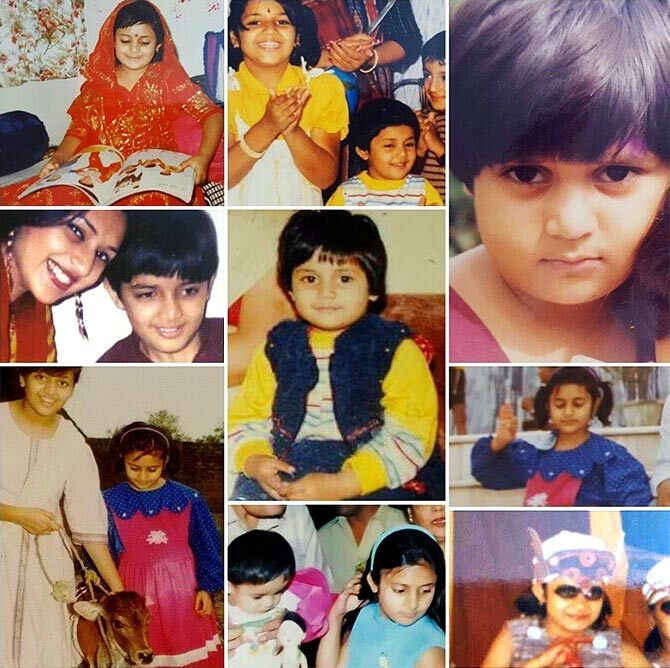 Television actress Divyanka Tripathi shared a beautiful collage of her childhood pictures. Quiz: Do you remember these child actors? Can you recognise these kids?